This mini jumping Castle is perfect for fitting in a small backyard or can even go in your garage or rumpus room. Perfect for the little kids as its small and compact and can be filled with balls to turn it into a ball pit for those tinies parties. 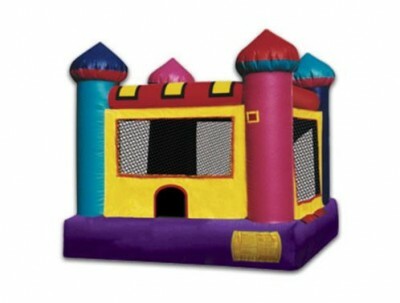 Compact and low heght makes this castle perfect for tight spaces or for the little jumpers.